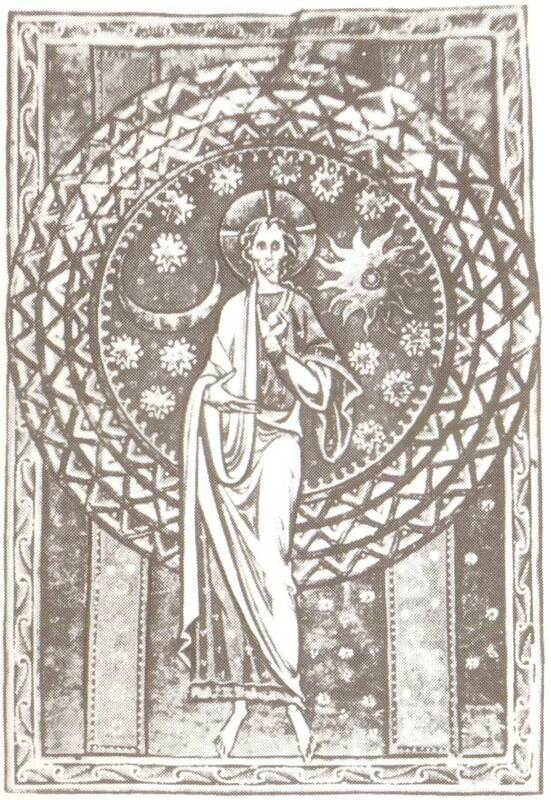 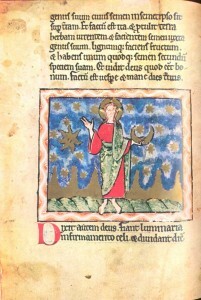 Creation of the Firmament Miniature. 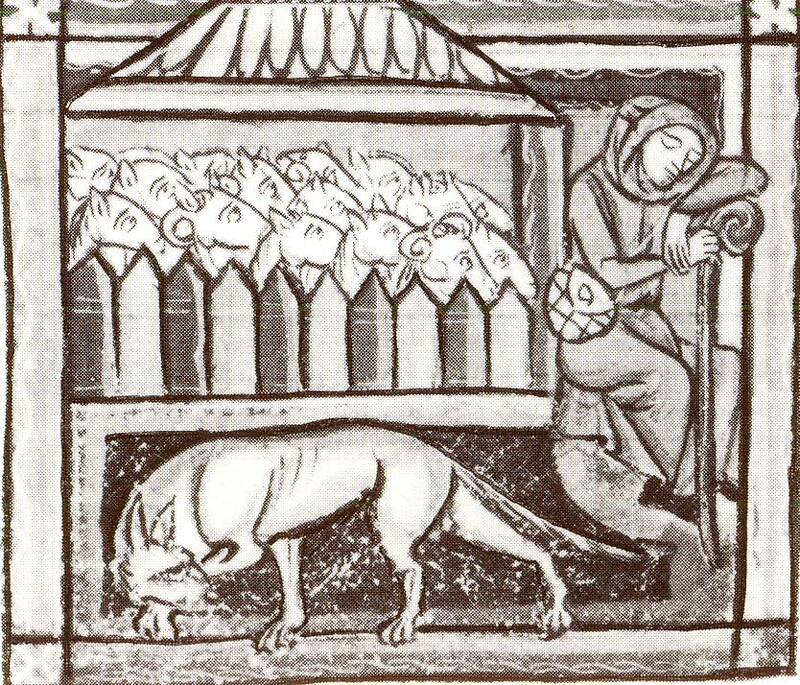 The Bodleian Library. 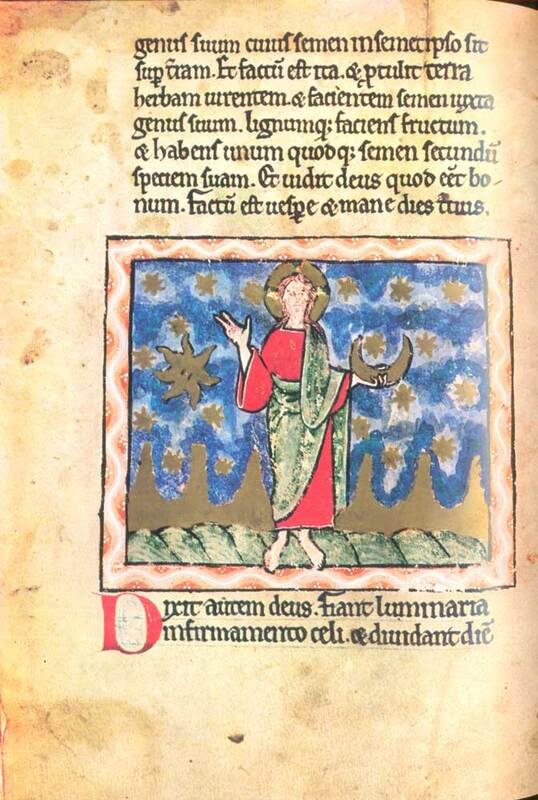 Oxford, ms. Ashmole 1511, f.5 v.
The miniatures illustrate the texts from Genesis on the third, fourth and fifth days of Creation. 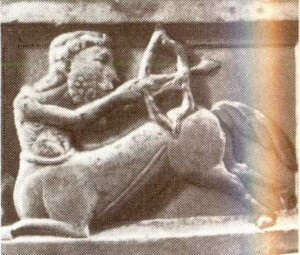 /1:9—13; 1:14—19; 1:20—23/. 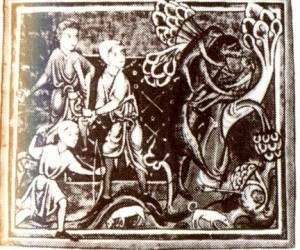 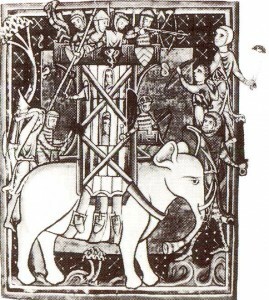 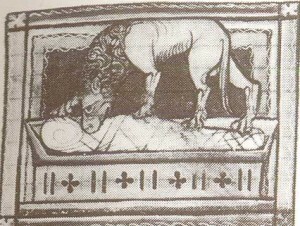 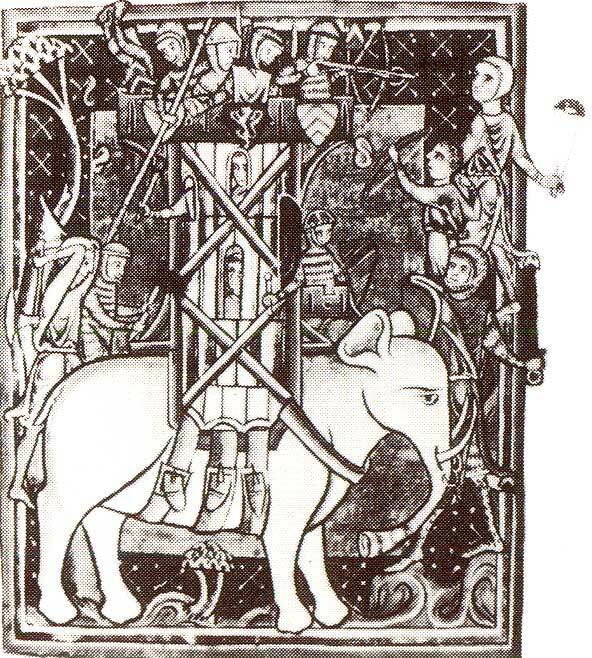 The Antalop Miniature. 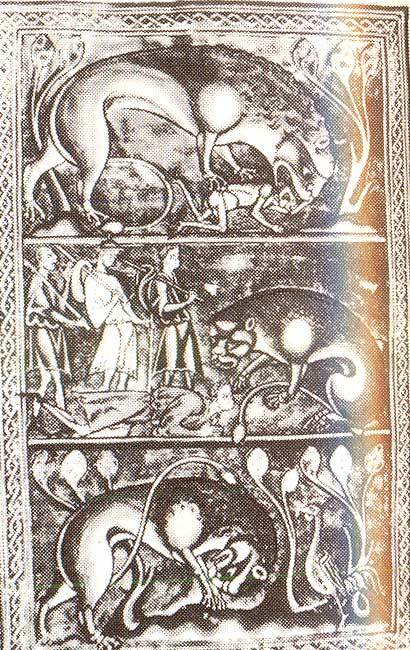 Manuscript of the LPL (The Saint Petersburg Public Library). 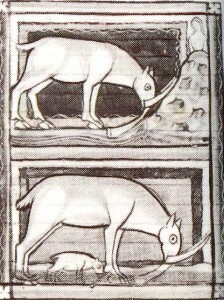 Lat.Q.V.III, N 1, f. 48 v.
The Unicorn Miniature. 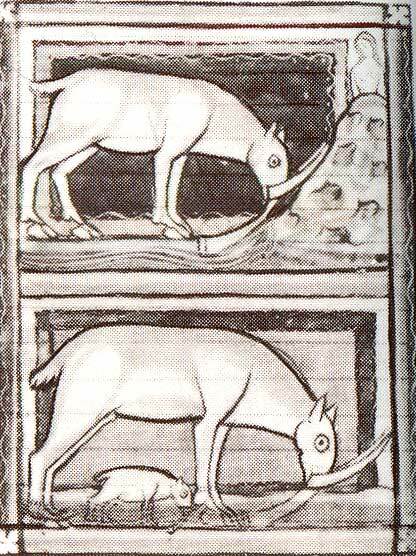 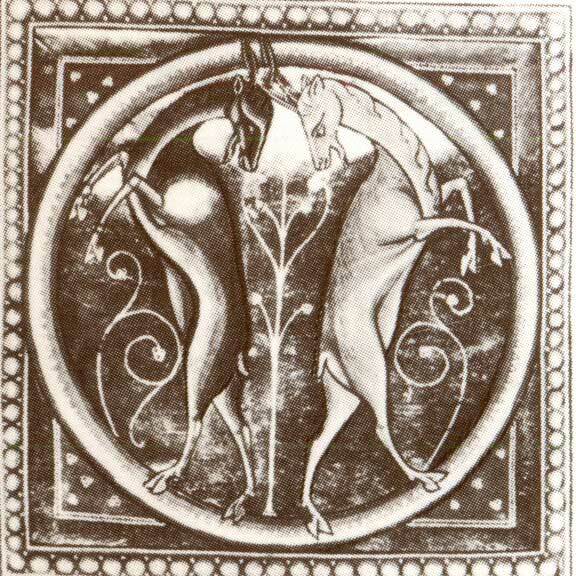 Bestiary of the British Museum Harley ms, f. 6 v.
The Unicorn Miniature. 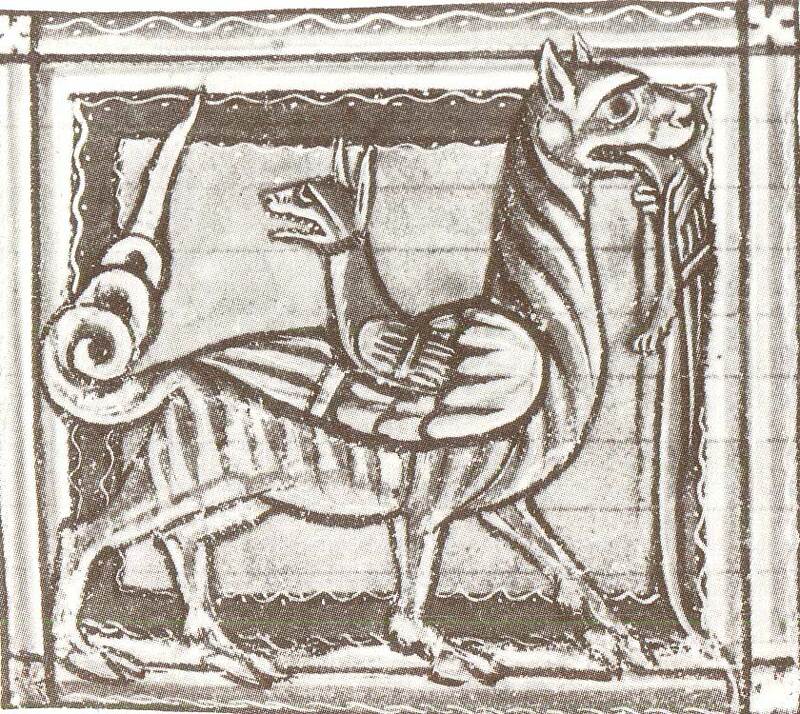 Manuscript of the LPL.Q.V.III, N 1, f. 38 v.
The Hydra. 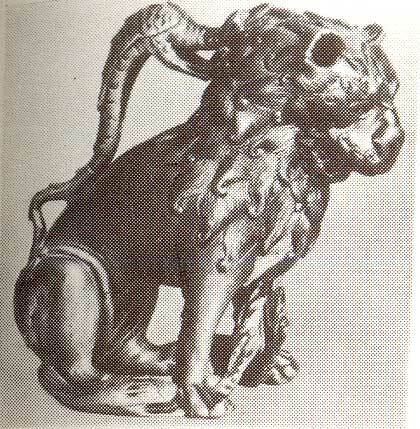 Miniature. 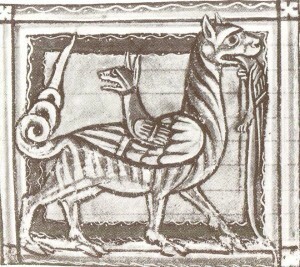 Manuscript of the LPL.Lat.Q.V.III, N 1, f. 39 v.
The Hydra Capital. 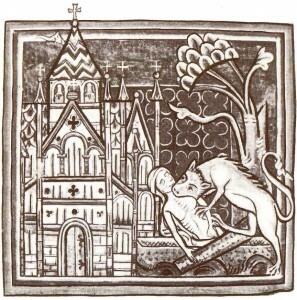 Church in Saint-Aignan. 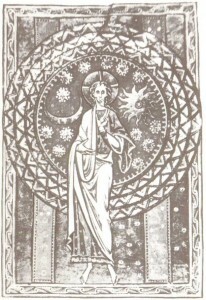 XII century. 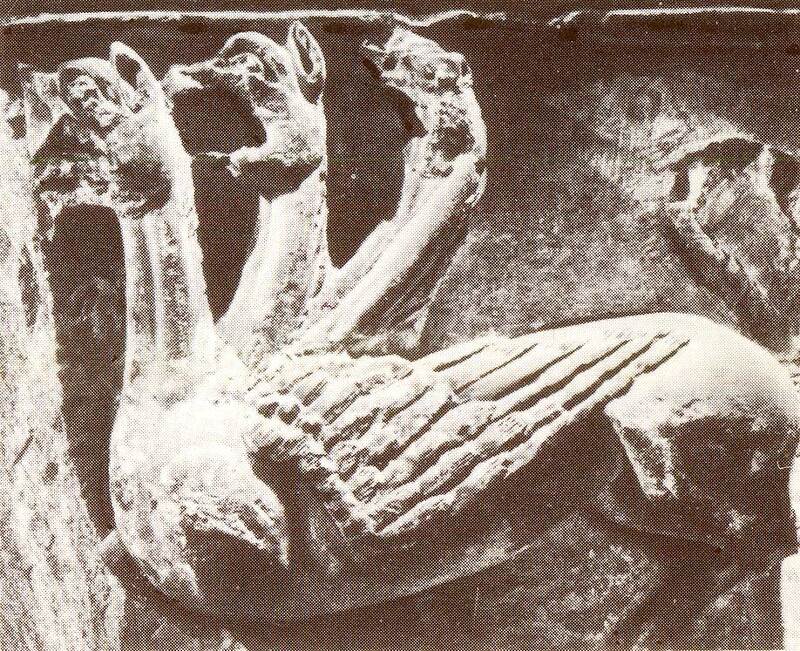 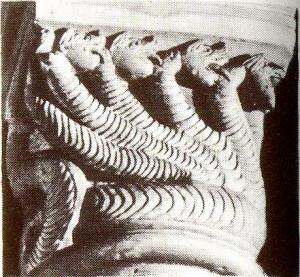 The Hydra Relief. 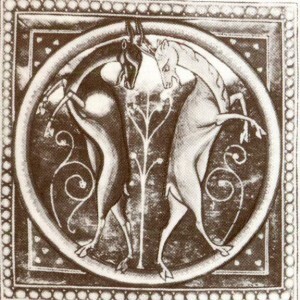 XII century. 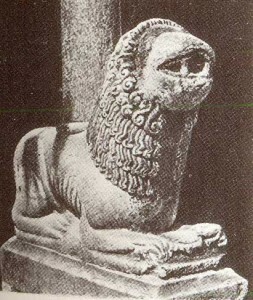 Archaeological Museum. 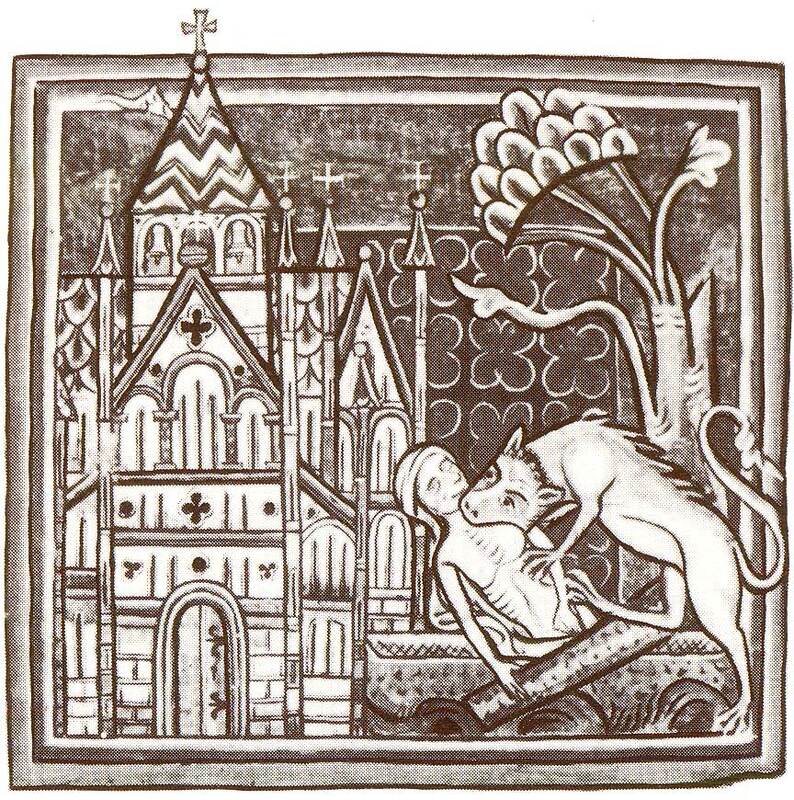 Nevers. The Sirens. 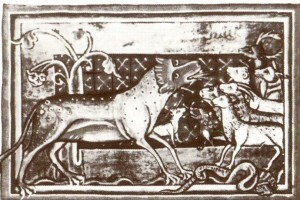 Miniature. 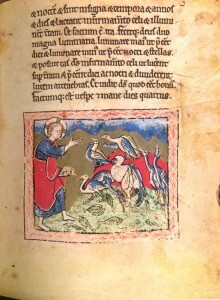 Manuscript of the Bodleian Library. 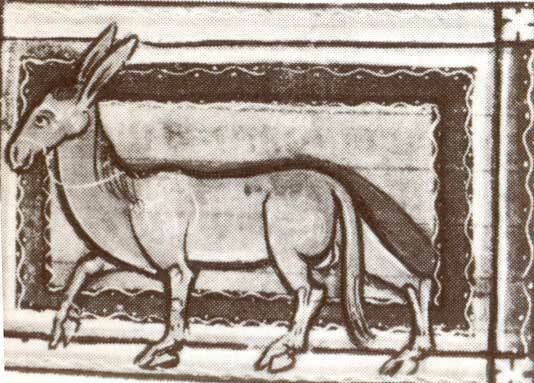 Oxford. 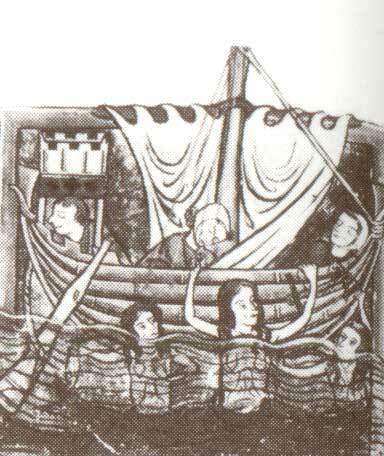 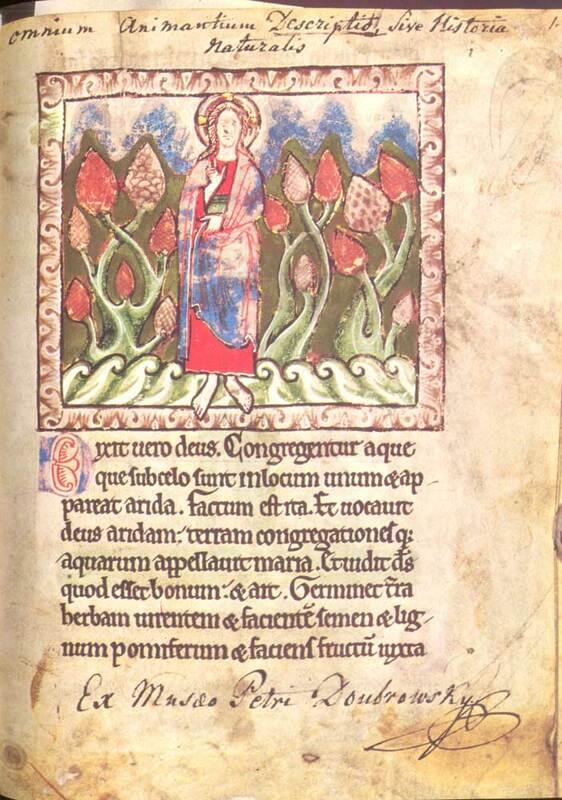 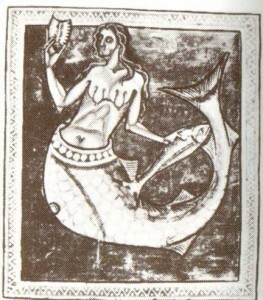 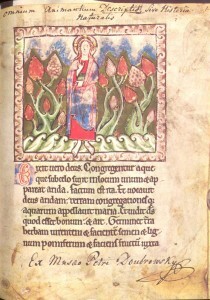 N 764, f. 74 v.
The Sirens Miniature. 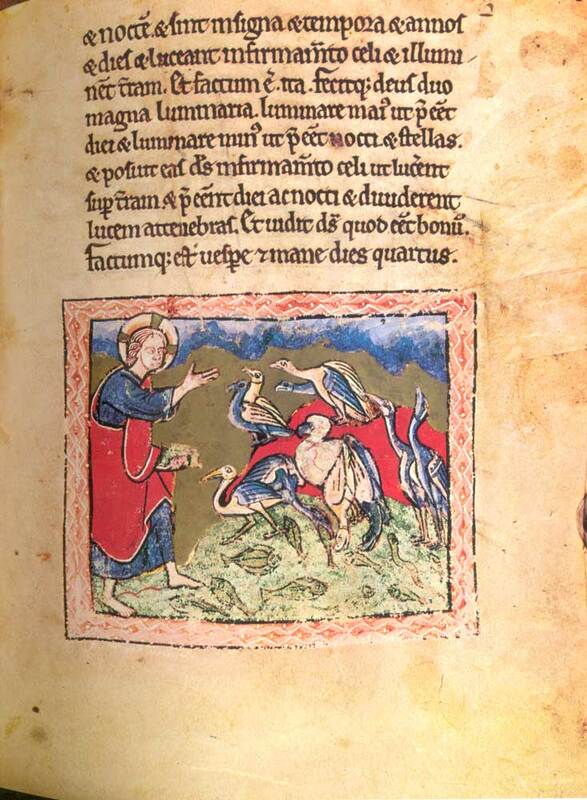 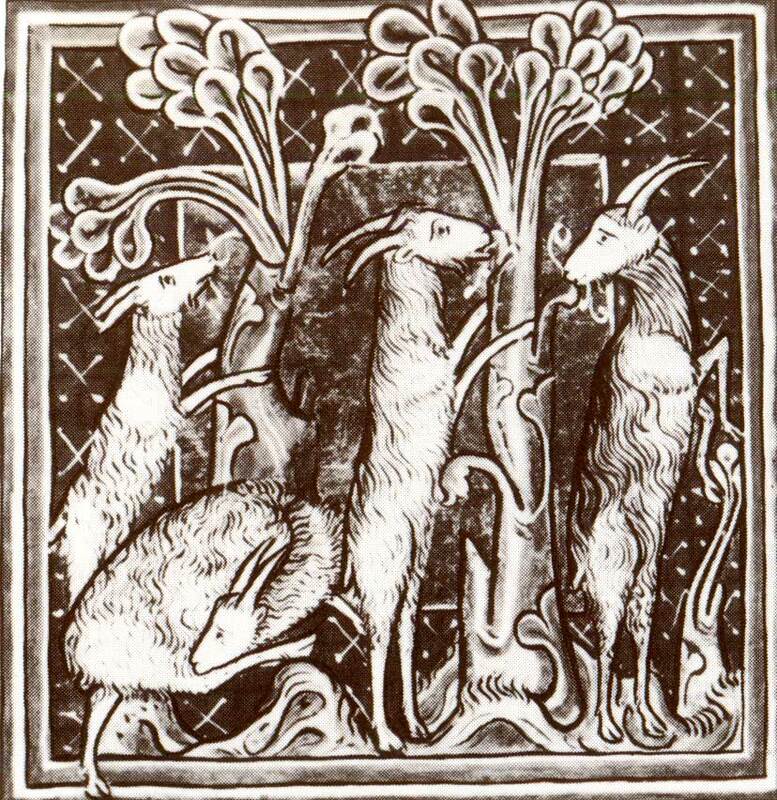 Bestiary of the Bodleian Library. 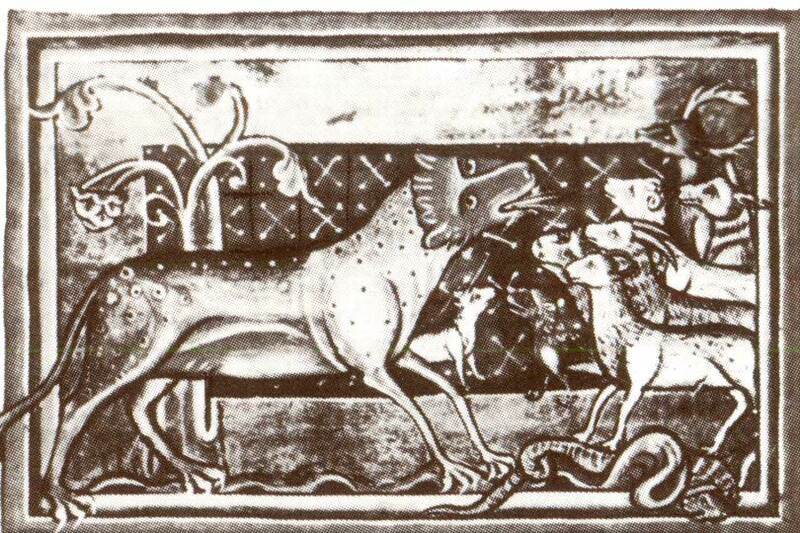 Oxford, ms. Ashmol 1511, f. 65 v.
The Wild Goal Miniature. 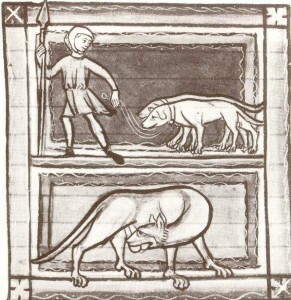 Bestiary of the Bodleian Library. 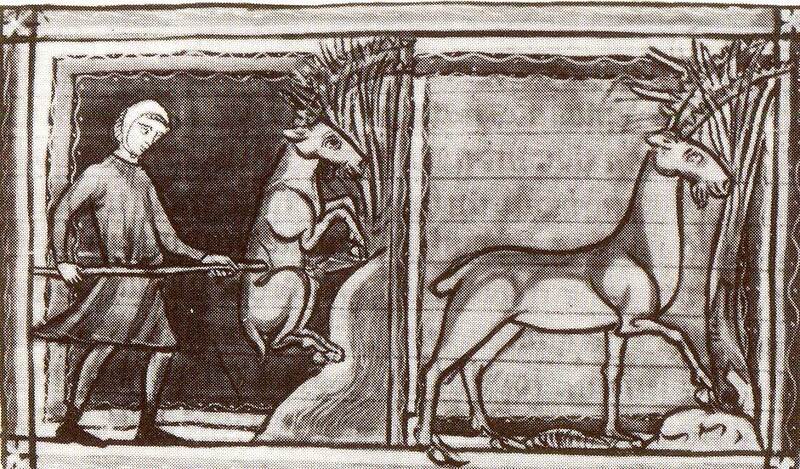 Oxford, ms. Ashmole 1511, f. 20 v.
The Wild Goal Miniature. 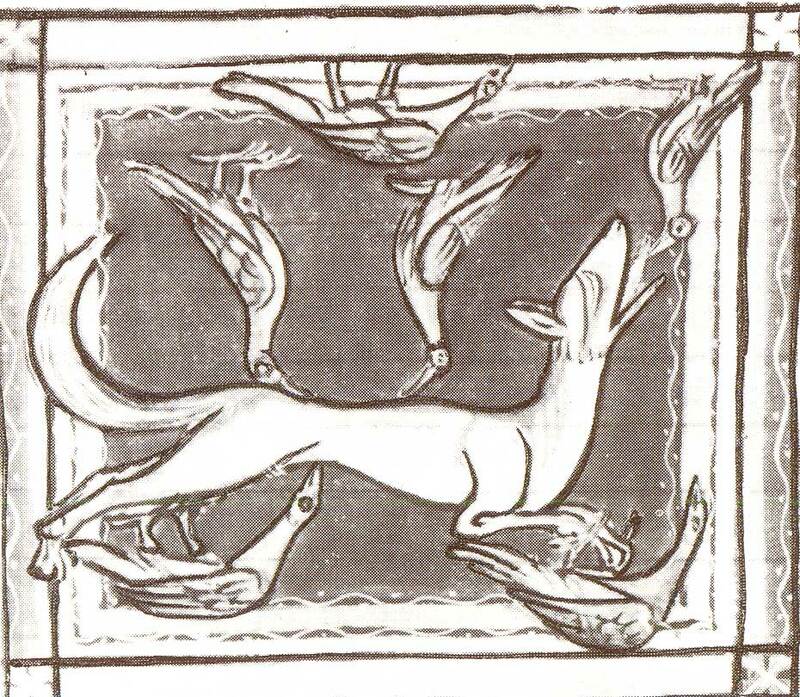 Bestiary of the Bodleian Library. 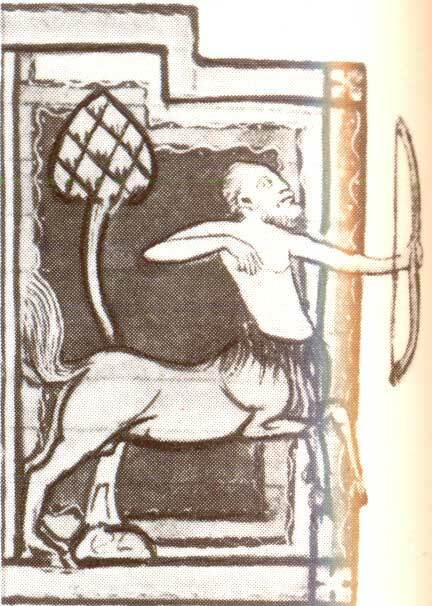 Oxford. 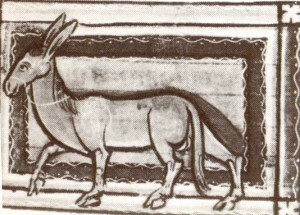 N 764, f.
The Onager Miniature. 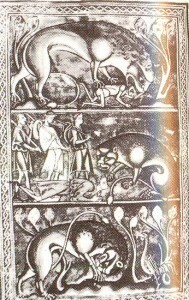 Manuscript of the LPL.Lat.Q.V. 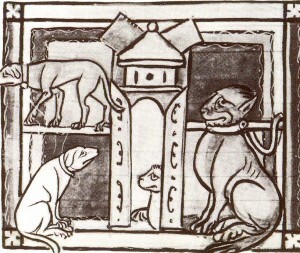 Ill, N 1, f. 40 v.
The Ape Miniature. 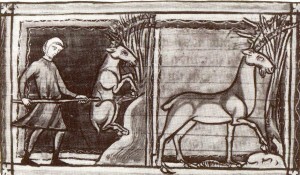 Manuscript of the LPL.Lat.Q.V.III, N 1, f. 40 v.
The Ape Miniature. 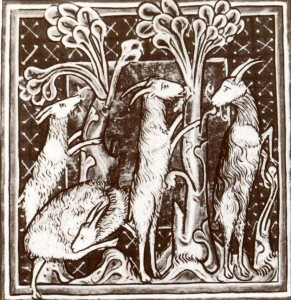 Bestiary of the Bodleian Library. Oxford. 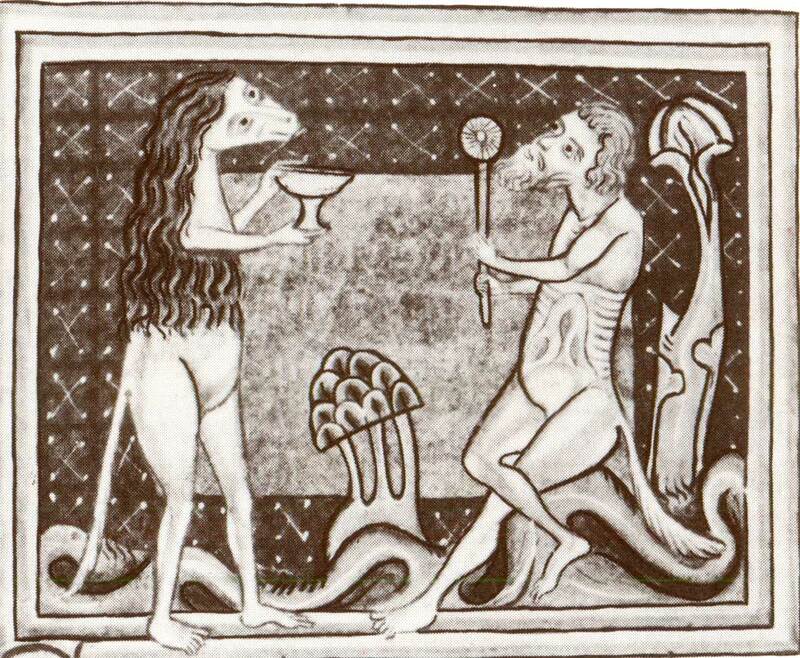 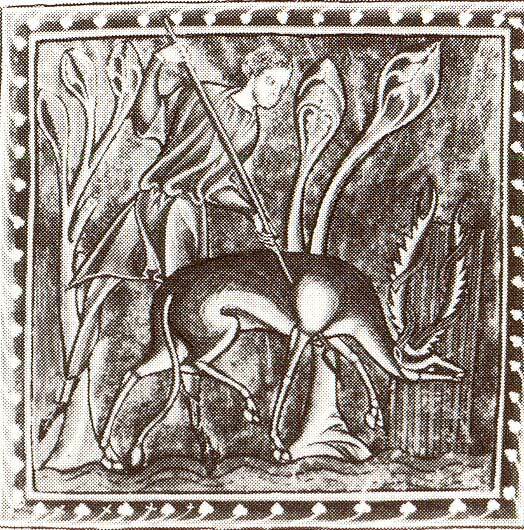 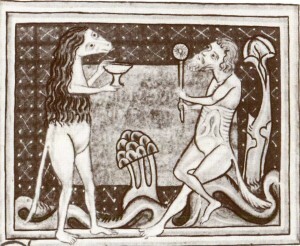 N 764, f. 17 v.
The Satyr and Callitrix Miniature. 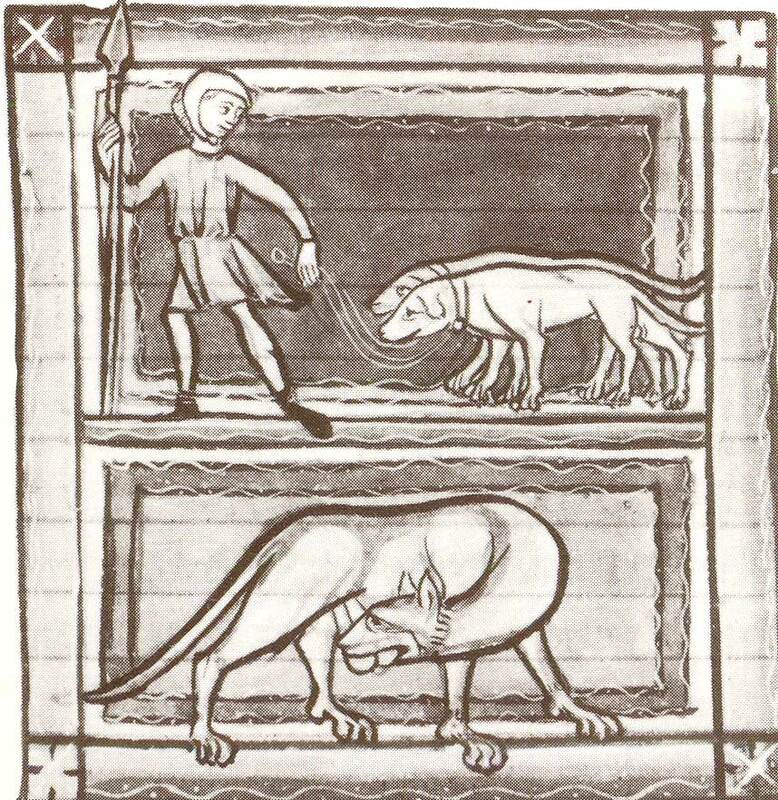 Bestiary of the Bodleian Library. 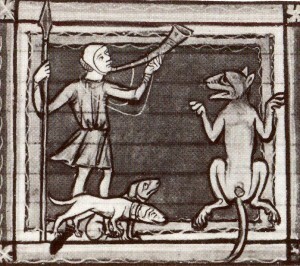 Oxford. N 764,f. 17 v.
The Panther Miniature. 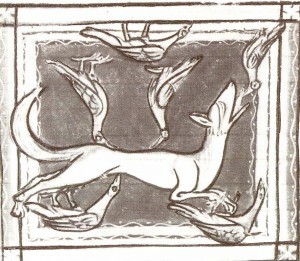 Bestiary of the Bodleian Library. 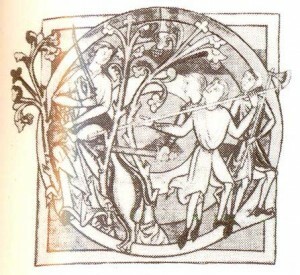 Oxford. 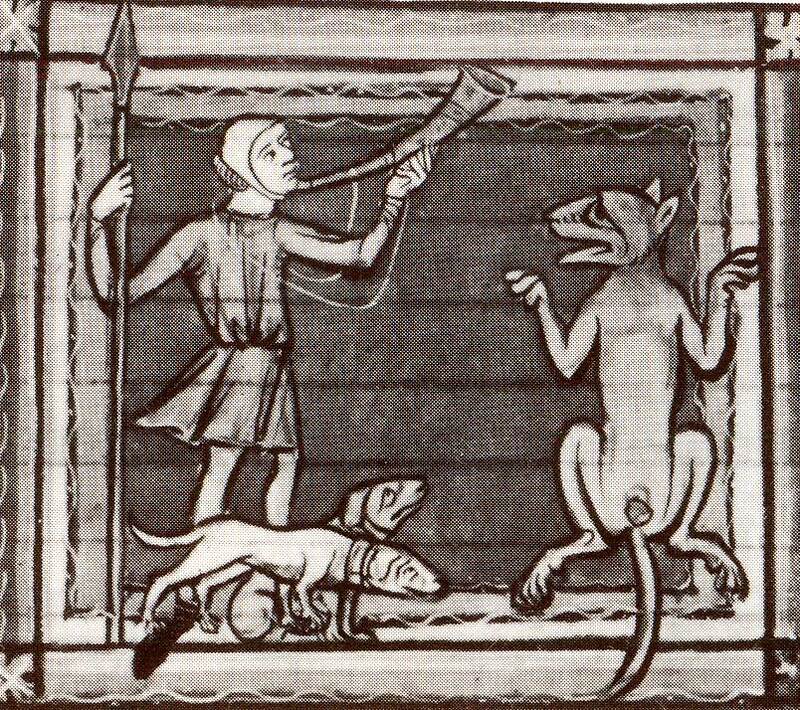 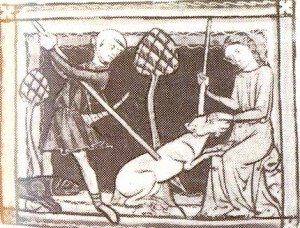 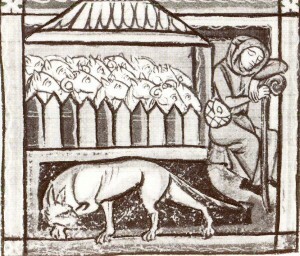 N 764, f. 7 v.
The Dogs Miniature. 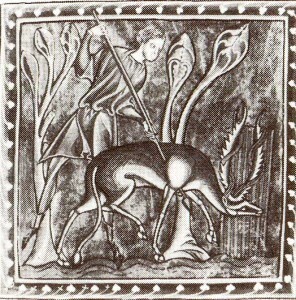 Manuscript of the LPL.Lat.Q.V.III, N 1, f. 43 v.